The CCP 2016 Financial Statements were filed at the Directorate of Internal Revenue on 10 April 2017. I have a obtained copy (they are available to the Public) and discuss them below. I have filled in the main numbers on my CCP Financials (as published) page to allow a quick comparison of the Profit & Losses, Balance Sheets and Cash Flows of prior years going back to 2008 (i.e. 9 years of numbers). I have also created new page "CCP hf. ConsolidatedFinancial Statements for 2016" that recreates the 2016 accounts as near as practicable to their original form to allow others to take the information and analyse it themselves. Revenues are up 31% to a new record high of $86m, pre tax earnings are up 30% to a new record high of $24.6m, post tax earnings are up 4% to a new record high of $21m (the lower % post tax earnings rise than revenues rise is because CCP is back to paying tax again). Balance sheet is strong: $46m of Cash less $21m of Borrowings; and the Development Costs look prudent. CCP is generating cash and using it to pay down the debt. It does seem that the problem years of 2013 and 2014 truly are behind them. In 2015 CCP had revenues from Eve Online only. In 2016 CCP had revenues in for Eve Online, Valkyrie and Gunjack. That makes life more complicated to work out how Eve Online is doing. - Eve Online (excluding China) – I estimate sales have fallen by 6.5% to $49.9m, back below 2009 levels. I.e. Eve Online remains in decline, though a slowing rate of decline. - CCP is worth $271m . . . . . and if my thought process is correct then see below for what that means the CEO could be worth! In all, I suspect there are seven revenue streams (really six): Eve Online; Eve China; Dust 514 (now nil); Other Games; Eve Valkyrie; Eve Gunjack; and Other Revenues. We know that Other Revenues are $5.0m ($7.1m in 2015) – I still have no idea what this refers to but at least we know how much it is. I suspect Eve China is the Asian revenues. I also suspect the Eve China is included in Royalties and Licences with the difference in “Other Games”. In 2015 that put $0.4m in “Other Games” which is a trivial amount but in 2016 it was $3.0m which is more material. I suspect this may be related to Eve Valkyrie or Eve Gunjack but for now we will leave it where it is. I suspect Dust 514 no longer brings in any revenues. So, we can use the above to estimate the Eve Online and other Revenue lines. In the above table Eve Online Cost of Sales $3,498,518 in 2016 vs $3,749,661 in 2015. I suspect Cost of Sales refers to affiliate commissions etc that CCP pays to third parties for Eve Online sales. If we assumed that the proportional Cost of Sales for Eve Online does not change each year then given we estimated last year that the Eve Online + China Revenues were $58.2m then we can estimate the 2016 Eve Online + China revenues to be $54.3m. And given we believe Eve China is $4.4m (=Asia revenues) then we can estimate that the Eve Online revenues were $49.9m ($53.3m in 2015). That would mean that Eve Online revenues fell 6.5% and are below 2009 levels. See note 1 for details of this calculation at the bottom of this post. In the above table Eve Online Subscription Deferred Revenues are $3,849,865 in 2016 vs $3,733,819 in 2015. CCP sells Eve subscriptions in 1 month, 3 month, 6 months and 12 month bundles. At the end of the year CCP will have received payment from players who still have an element of their subscription period to fall in 2017. It is that proportion that is called “Deferred Revenues – Subscriptions”. If we assumed that the proportion of deferred subscription revenues does not change each year and if we assume this all relates to Eve Online (not China) then we can estimate that Eve Online revenues increased by 3.1% to $55.0m. See note 2 for details of this calculation at the bottom of this post. Either way, we are looking at Eve Online revenues in a range of $49.9m to $55.0m. For now, I will go with the $49.9m which feels more accurate given it is based on a through year P&L number rather than an end of year balance sheet number. If we went with that then we could then suggest that the number of players in Eve Online declined again. However, it has been a long time since we were given player numbers by CCP. Last year I estimated Eve Online had 396,000 paying players. If I assumed paying players and Eve Online revenues were correlated then paying players would have also fallen 6.5% to 370,000. That then leaves us with Valkyrie and Gunjack to work out. Again, CCP only tells us the Cost of Sales and if I assumed that the Cost of Sales is proportionally the same between Valkyrie and Gunjack then I can allocate the remaining Revenues between those two games. That allows me to estimate that Valkyrie had revenues of $20.4m whilst Gunjack had revenues of $3.4m. See note 3 for details of this calculation. Now, I will say here and now that that feels high for Eve Gunjack and Eve Valkyrie which would therefore suggest the Eve Online revenues I estimate are too low. But if anyone else can come up with a better way then let me know. Now, as a final observation, there is something odd going on in Deferred Income (discussed towards the bottom of the post) which may mean that CCP recognised an additional $3m of sales for Eve Online that would have historically sat on the Balance Sheet. If that was the case then Eve Online would have had $3m sales less than what I think above. Operating profits are the earnings before interest and tax = Revenues less operating costs. Operating profits rose 30% to $26.1m – another new record high. The Operating Profit margin (=operating profits / Revenues) rose to 30.3% (23.4% in 2015), another new high and much more respectable. That compares to Operating Profit Margin at Activision-Blizzard (World of Warcraft, Call of Duty, Candy Crush etc) of 33% and Electronic Arts of 31%. So just about inline with peers. R&D $17.9m ($16.9m). This is always the interesting one given it was the R&D that nearly took CCP over the edge in 2014. Now, R&D is never an easy number to nail down. For example, the $17.9m P&L cost in 2016 is actually $18.2m of salaries (so people costs) less $12.0m of which is capitalised (so that is stuff people are working on that adds value to the games which will play out over the next few years) add $11.8m prior years R&D amortised (I.e. the historic years R&D that is now being expensed into the P&L as it is played out). In other words, the R&D cost we see in the P&L is made up of some of this years costs plus a proportion of historic costs and therefore it is quite messy and often not comparable to the actual cash cost in a given year. R&D is the medium term driver of revenues and so I would always expect to see it in the range of 15 – 25% of revenues. To put this in perspective, Activision-Blizzard spends about 14% on Product Development but CCP should be growing faster than Activision-Blizzard and hence should be spending more on R&D to add content to drive this growth. Publishing $6.0m ($5.2m) which is 7.0% of revenues and has been on a declining % of revenues since it peaked at 17.3% of revenues in 2011. I suspect this reflects a greater focus on digital downloads compared to hard disc sales and therefore should continue to decline. Marketing $12.9m ($7.6m) – this is back up to 15% of revenues compared to the old range of 15 – 20% in 2008 to 2014. It was cut back in 2015. Hence, it is back to a range I would expect. Marketing is the here and now driver of revenues and so I would always expect to see this cost in the range of 15-20% of revenues. Again, Activision-Blizzard spends about 14% on Marketing. General & Admin costs $16.4m ($16.3m) - almost flat on 2015 so indications of good cost control from CCP. These are all costs that are not in the above and not interest or tax. In the big scheme of things though they are high as a % of sales at 19% but still lower than historic levels of 24 – 30%. Activision-Blizzard General & Admin costs are a mere 8% of revenues but this represents scale. The thing about General & Admin is that it tends not to rise as revenues rise. For example, you only need one CEO if your revenues are $100m or $500m or $1bn etc. Hence, I would expect this cost as a % of revenues to decline from here. Staff numbers by the end of 2016 was 359 compared to 330 at the end of 2015 – so it looks like CCP is back to hiring again. Compared to the peak of over 600 in 2010. In total CCP paid $28.3m in salaries compared to $23.8m in 2015. Nice to see that CCP is profitable enough to be paying tax. Good news, when you think about it. The buck stops here, companies live or die on this. In 2016 the CCP generated $10.7m cash from its operations compared to $20.6m in 2015. The $10m difference is due to spending $5m more on R&D and in 2015 there was a disposal that brought cash of $5.7m (World of Darkness). In 2016 the cash flows all look underlying (i.e. there are no one-offs which benefit or hit CCP that will not be repeated in 2017). There is one odd change though, to do with Deferred Income and it is discussed further down below and used to be linked to Plex. Had this oddity not occurred then the cash generation i suspect your have $5m better. These were all restructured in 2015 and now the company is repaying about $2.5m each year until 2020 and making a final $12m repayment. That all looks doable especially when we consider that the company has $46m in cash and is generating cash from its operations. That all said, the current borrowings of $20m does mean that CCP is paying interest of $1.2m in 2016. Pretty strong now. Cash of $46m less borrowings of $21m is healthy. There is also $18m of Development Costs sitting on the Balance Sheet (that is staff doing work in prior periods that should hopefully generate revenues in future years, as it does, that $18m is expensed through the Profit & Loss account). Furthermore, that Development Cost is quickly expensed through the P&L – in 2016 $12m was added to the Development Cost on the Balance Sheet and $12m was expensed through the Profit & Loss account. In other words, unlike prior years, the Development cost on the Balance Sheet is being quickly and prudently expended. As highlighted above, there has been an odd change in Deferred Income. Deferred Income relates to cash CCP has received but for services provided in the future. One example is if a player bought a 3 month subscription at the end of November – in this case the period of January and February would be held on the Balance Sheet for December 2016 as Deferred Income. Plex was another example – if Plex was bought it technically allowed a player to extend their playtime by 30 days at a later period. It appears that whilst the Subscriptions deferred revenue is still there, the other two lines have almost gone to zero. I used to think that “In-game purchases not yet consumed” related to Plex. So I am not sure why it has gone to zero! I am all ears to any ideas on that one?! Anyway, had all been as expected I wold have expected to see that “In-game purchases not yet consumed” be at least $3m. Given it is not then that $3m would have recognised as sales either in Eve Online or something else. Along with the Accounts comes the list of shareholders – again, all publicly available information. Now, I only have shareholdings for December 2014 and 2016. I don’t have it for December 2015 (I have the % holdings for 2015 but that does not all lend itself to accuracy). It is interesting to look at who are the top 10 shareholders and how this has changed. In December 2014 the top 10 shareholders made up 81% of the total shares – 5 individuals and 5 companies / investment vehicles. In December 2016 this had changed to 95% - 1 individual and 9 companies / investment vehicles. The above %s are worked out using the 9,012,556 shares in issue. There are also 1,369,854 B Shares in issue. I don’t know the terms of these shares but if they proved to be “pari pasu” with the 9,012,556 shares in issue then these %s would need to be worked out including the B Shares. I don’t know who owns the B Shares though Nosy Gamer suggests they are held by NP and NEA (looking at the 2015 % shareholder list I suspect it is NEA only – but lets go with both for now). If that was the case then their total shareholding would be 5,364,093 = 51.7% of the shares and therefore above the crucial 50% level. Potentially, we now have a way of working out what the shareholders think CCP is worth. During the year CCP purchased shares from some of its shareholders and therefore we can use that purchase price to determine a value for CCP. In all, 707,035 shares were purchases from existing shareholders by CCP itself for a total value of $18,432,595. These were normal shares just like almost all other CCP shares in issue. That implies a value of $26.07 per share. We know that there are 10,382,410 CCP shares in issue which implies a value of $271m for CCP (I am assuming a B Share is worth the same as the other shares). That makes CCP worth 12.6x earnings or an EV/EBITDA of 6.3x (EV = Enterprise Value = Value of the shares less net cash in the company). Worth saying that that compares to Activision Blizzard which is on 26.6x 2016 earnings and an EV/EBITDA of 11.2x. There would be many reasons for this difference such as Activision Blizzard’s better history of growth and more product revenues streams etc – but, it does make the value of CCP at $271m more believable. And, lets get cheeky and assume this $26.07 value is correct, we also know that the CEO owns 676,564 shares which makes him worth $18m. Beers on the CEO then! Note 3: we know the total revenues are $86.1m and we know or have estimated all other revenue lines as Eve Online $49.9m + China $4.4m + Dust $0.0 + Other Games $3.0m + Other Revenues $5.0m. So that leaves us with $23.8m of revenues to allocate. Hence, my estimate for Valkyrie is $23.8m x Cost of Sale Valkyrie / (Cost of Sale Valkyrie + Cost of Sale Gunjack) = $20.4m and likewise for Gunjack is $23.8m x Cost of Sale Gunjack / (Cost of Sale Valkyrie + Cost of Sale Gunjack) = $3.4m. Overall good news, though that deferred revenue is truly perplexing. Maybe they re-classified PLEX into some kind of in-game item that only virtually represents something like game time?? Does a virtual currency that they allow you to convert into game time or be used for some other virtual item/service act the same as say a pre-paid subscription or forward payment? I am not sure, to be honest but it may be to do with the launch of alpha clones etc and therefore PLexed players are merely counted as free players now. 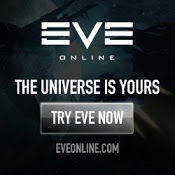 I was merely taking the 396,000 paying players + plex players i worked out in my review last year http://marketsforisk.blogspot.co.uk/2016/04/ccp-financial-statements-for-2015-review.html and assumed my estimated fall in Eve Online revenues is equal to the fall in paying players. That said, last year I worked out there were 340,000 paying players + 56,000 Plexed players. Hence, I suspect we may be on the same page here. So bottom line, Eve subs and free cash flow are declining year over year. CCP can only squeeze so much cash from subscriber, and eventually we will see some scary numbers start coming out. Given the ongoing crash in the PCU, I think 12 months from now this analysis will show something far different. It is worth noting that according to one post by NoizyGamer Eve's RMT industry was estimated to be between 2.0 and 2.5 million, and growing. Nice to see that the null sec cartels have net income that is "only" around 10% of CCP's net income. Nyc information about financial statements. keep posting!!! I will not dump my Occator!